Due to issues of poverty, abuse, neglect, and alcoholism, many children in Guatemala have fled to the streets. They find themselves without support or comfort. They lack education and other basic needs. Some of these children have found temporary relief at an orphanage and that is where you as a volunteer in Guatemala can be so very important. This project focuses volunteers assisting the needs of the local orphanage where many children call home. Volunteers will act as mentors, teachers, and general support systems for these children. Volunteers will be donating their personal talents and skills to assist these children in living the best life possible. Your role as a volunteer is to offer love and other such resources to keep these children off the streets and help them build a better life. Although this volunteer project may prove difficult at times, it is also very rewarding. You will find that the love and support you offer these children in Guatemala will give both them, and yourself, an immeasurable amount of joy. No specific skills and qualifications are required to volunteer in this project. However, you must be at least 18 years of age. Volunteers should also be flexible, practical and self-motivated with an open mind to learn about new culture. While Spanish is preferred, it is not required. 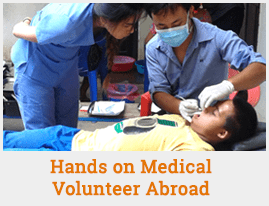 Volunteer roles in the Guatemala orphanage project depends on individual skills and interests. Volunteers may act as mentors and companions, help children with their homework, teach English, play with them and organize different fun activities for them to participate in. Although this is not an English teaching placement, you will have the opportunity to teach English and conduct creative programs including games, music, art, drawing, painting, and impart health education. Xela, Guatemala is the second-largest city in Guatemala and the full name of city is called Quetzaltenango. Xela is located in the southwest of Guatemala and full of various natural landscapes. There are volcanoes, hot springs, rivers, mountains, and valleys all around. The area around Xela produces coffee, fruit, wheat, cattle, and many vegetables. Xela is full of neoclassical and renaissance style architecture. The city also hosts a plentitude of restaurants, markets, and museums.